Andy Garverick is a native of Arlington, VA and a graduate of Mt Vernon High School and The University of Tennessee (BS & MBA) where he was a founding member of The Cumberland Trio. After graduation he served in the US Marine Corps and embarked on a stellar career in commercial and international banking with C & S Bank Atlanta, GA/New York, NY, Commerce Union Bank Nashville, TN and Algemene Bank of the Netherlands of Atlanta, GA. He later founded Albemarle & Associates, a financial consulting and development firm in Charlotte, NC and Atlanta. Andy passed away in Atlanta in the midst of his family in September, 2013 after a long and courageous battle against cancer. 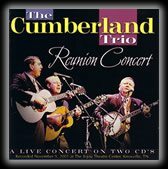 As a founding member of The Cumberland Trio at The University of Tennessee he played banjo and lead guitar as well as singing solo verses and baritone harmonies. He was self-taught on the five string banjo slowing down 33 1/3 LPs to 16 2/3 to capture and master the intricate techniques. He was without peer on the banjo during the Folk Era of the early 1960’s when the Trio won the National Collegiate Folk Festival, appeared on ABC-TV’s Hootenanny, recorded at RCA Nashville and at Gotham Studios in New York and played concerts throughout the Southeastern US including one with the Knoxville Symphony & Choral Society. His brilliant four style banjo playing- Scruggs style, chromatic, frailing and strumming- drove the Trio’s sound and if there was a star in the group it was Andy. He was a vocal harmony genius, seamlessly singing above and below the melody during the same song. Andy and Jerre Haskew worked together in international banking in Nashville during the 1970’s. Tom Kilpatrick and Andy rekindled their long friendship when Andy moved back to Atlanta to run Algemene Bank’s Southeastern US operations in the late 1970’s. When the Trio had the opportunity to reunite for reunion concerts in 2001, Andy enthusiastically participated in putting the concerts together. His banjo playing was still at the top of his game. He will be sorely missed but his music legacy will live forever. Andy’s was married for over 40 years to his beloved wife, Jina Garverick, with two grown and successful children Drew Garverick and Suzanne Garverick Coleman and two grandchildren. He left an incredible music legacy and friendship that will live forever. Here’s to you, our Ramblin’ Boy!! Jerre Haskew is a native of Chattanooga, TN and a graduate of The Baylor School and the University of Tennessee (BS in Finance & Economics). He also holds a master’s certificate from the University of Colorado in international trade and finance. As a young man in the 1960’s, Jerre was on the verge of seeing his lifelong dream come true. The Cumberland Trio was on the crest of stardom. In 1964, they turned down RCA to sign a record contract with an up and coming record label, RIC, and recorded their first album in New York City. As his dream was just within reach, it slipped away. Haskew learned business lesson number one- two percent of something is better than ten percent of nothing. Over the ensuing forty plus years, he established a successful international banking and entrepreneurial career. In 1965 he joined the international department of First National Bank of Memphis where he established an impressive track record. Jerre’s record caught Commerce Union Bank of Nashville’s eye, and in 1970, they asked him to found and manage their international division. From 1970-1977 Jerre made his mark in the banking arena, as Commerce Union Bank’s international division processed over three billion dollars of export paper annually and developed successful business relationships with banks and companies in over 50 nations in all corners of the globe. He was then promoted to the bank’s holding company, where he was put in control of bank acquisitions, long range planning and human resources. In 1980 Jerre was named president of Commerce Union Bank of Chattanooga, an office he held for the next six years. Despite his great success in the banking arena, Jerre always felt that he was “an entrepreneur within a system.” In 1986 he parted ways with Commerce Union Bank and the banking industry as a whole. Out of the system, Haskew was able to use his innovation and creativity to build a successful new venture capital and consulting business of his own, The Haskew Company, raising equity, managing debt capital for and operating small businesses. One of his acquisitions was Guild Guitar Corporation of Westerly, RI where Jerre served as president and CEO and obtained the unpaid endorsements of many star performers including Eric Clapton and Johnny Cash because of the quality of Guild guitars built under his supervision. He was named NAMM Music Industry Executive of the Year in 1988 by Music Magazine for his leadership and innovation in the guitar industry. A lifelong sports fanatic, Jerre became the first person in the USA to lease time from a radio station, and in 1990 he founded Sport Talk, with him and his brother as the hosts. A pioneer in the talk radio arena, Haskew arranged for Sport Talk to become the first sports talk show broadcast on the internet. He quickly grew an internet listening empire- drawing over 300,000 hits a day, as well as the largest ever single-day Internet audience for a talk radio show, with 3,000,000 hits in one day from 29 states and four foreign countries. The show won many awards including AP’s Sports Talk Show of the Year in Tennessee a record four times. In 2000 Jerre sold the show to the radio station group in order to pursue his lifelong dream of reuniting The Cumberland Trio and exposing it’s music around the world as well as the music of the Haskew family. Jerre’s message to entrepreneurs is that we must always believe in our dreams and ourselves even when those closest to us sometimes don’t. We also must find our “lions,” our own creative ways to make our dreams come true. He believed in himself and his dreams, and fifty years later, the dreams have come true. Jerre has been married for 50 years to his lifelong sweetheart and partner Barbara Short Haskew. They have two grown daughters, Bonnie Haskew McMullen and Holly Haskew Tambling and four grandchildren. Tom Kilpatrick is a native of Atlanta, GA and a graduate of North Fulton High School and The University of Tennessee (JD UT Law School). He plays rhythm and lead guitar, autoharp and mandolin in The Cumberland Trio. Many regard him as one of the finest rhythm guitarists and tenor solo/harmony vocalists of the Folk Era of the early 1960’s. Tom’s passions outside of his family are collecting fine vintage guitars, banjos and mandolins, firearms and writing instruments. Tom is the senior member of the Atlanta law firm Alston & Byrd’s Labor & Employment Group. He has a four-decade track record of winning advocacy in all areas of labor and employment law, having successfully represented employers in 47 different states, before scores of state and federal courts and agencies, seven different U.S. courts of appeal and the United States Supreme Court. He represents clients in all areas of labor and employment law, including management/union matters, employment discrimination, wage and hour litigation, restrictive covenant matters, affirmative action planning and compliance, and day-to-day advice and consultation. Tom’s practice is focused in the traditional labor law arena, including union avoidance, negotiating collective bargaining agreements, arbitration, handling picketing and handbilling matters, appearing in unfair labor practice investigations and trials, and in guiding unionized employers in the development of strategies and action plans that minimize the impact of unions. In addition Tom serves on several corporate and civic boards of directors. Tom is married to Bebe Greene Kilpatrick. He has a talented and successful daughter Kristi and two wondrous grandchildren. Jim Shuptrine’s love of music began when he was about five years old, when he began trying out his older brother’s trumpet. Jim used to accompany his brother Hubert to band practices at Chattanooga (TN) Central High School, and his interest in playing an instrument was born. He started playing the trombone and received several state and regional first place awards before he was in the sixth grade. His love for music led to being both the Captain of the Concert Band and the Marching Band at Central. His fondness of animals played a close second in his interests, and it led him to the University of Tennessee in Knoxville as a pre- veterinarian science major. He had received a small scholarship from the Music Department at Knoxville, so in order to take advantage of that, he played in both the UT Marching Band and the Concert Band. He pledged to the Delta Tau Delta fraternity, which opened another chapter in his life. With a musical background, Jim was drawn to join a folk music group named The Cumberland Trio, all fraternity brothers but one. They needed a bass player, so he tried playing a bass….a new instrument for him, The group need a foundation for the guitars and banjo, so it was a win-win for both Jim and the members of the group. Jim graduated from UT in 1966 with a Bachelor of Science degree in Sociology, with a minor in Psychology…..quite a departure from music and veterinarian science. After a two-year stint as a regional sales rep with General Foods, Jim joined his brother Hubert, an up and coming artist, as his sales agent and publisher. At the time Hubert’s paintings were fetching prices ranging from $25.00 to $75.00 After 13 years of managing the artist’s career, transacting all of his sales, and steering and promoting Hubert’s career, his paintings were bringing $10,000.00 to $60,000.00. Hubert Shuptrine collaborated with James Dickey, the nationally recognized poet and author, in putting together a book of paintings by Shuptrine and text by Dickey, which was published in 1974 by Oxmoor House of Southern Living. Jim and Hubert worked as a team in designing the large book (usually known as a coffee table book) which had to be hand-bound due to its size. When deciding about the number of books to print in the first printing, Oxmoor said that they would optimistically print 10,000 for the first edition, which would be quite a success if they sold out.”Jericho The South Beheld” broke every record in art book history when it sold 168,000 copies. Hubert’s name became a household name in the world of art. His originals were in high demand, and he could not begin to complete enough works to satisfy his followers. In 1982, Jim accepted a position with Vincent Printing Co. in Chattanooga, TN. He became the Executive V.P. of Sales, until 2010. His skill as an instrument-rated pilot was instrumental in building his brother’s career, and his success at Vincent Printing. Over the years, since 1974, when he first learned to fly, he logged well over 3,500 hours of flight time….flying many times to California, Canada, the Bahamas, and the Dominican Republic. During his years as a pilot, he landed in every state at least once, and flew across the U.S. border on many occasions. Today he is semi-retired, and lives on 30 acres in Signal Mountain with his wife Barbara. They have four children, 10 grand children, and one great-grand child. He’s often fishing on his fish pond for dinner, or he and Barbara are riding their Harley Davidson.